What happens when you have only one scooter and two girls that want to go around the block? You share like these two did. One of them had the scooter and helmet for have the walk and then they switch places for the other half. 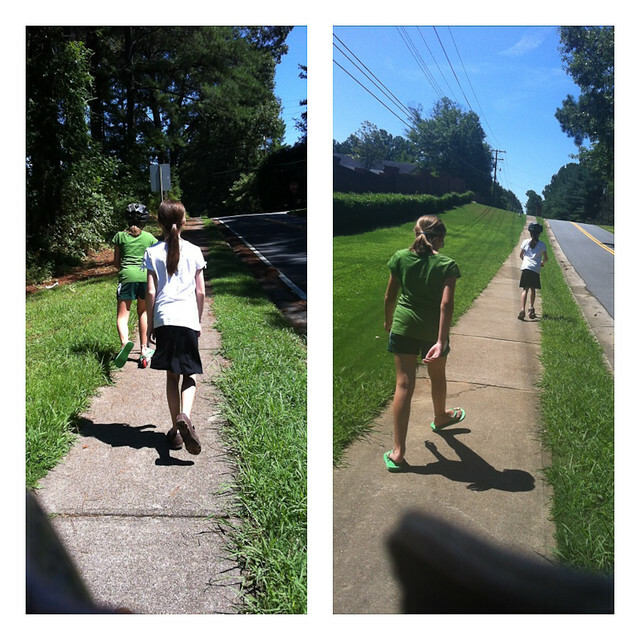 I was the official distance tracker and told them when we hit the halfway mark.